USF on Tuesday revealed "preliminary" renderings of its downtown Tampa campus, which will be built on a 1-acre lot at the corner of Channelside Drive and Meridian Avenue. Construction costs are pegged at $152.6 million. Construction is expected to begin in August and slated to wrap up in 2019, USF said Tuesday. The new building will house both the Morsani College of Medicine and USF Heart Health Institute, accommodating an estimated 2,275 faculty, staff and students. The new medical school will be an anchor of the $3 billion, mixed-use district that Strategic Property Partners is planning between the Channel district and central business district. SPP is the real estate holding company controlled by Tampa Bay Lightning owner Jeff Vinik and Cascade Investment LLC. An affiliate of SPP donated the land where the medical school will be built to the university. "The school’s impact will extend beyond its physical presence and be felt throughout the urban core, bringing energy to the area with its students, researchers, and professors,” Vinik said in a statement. 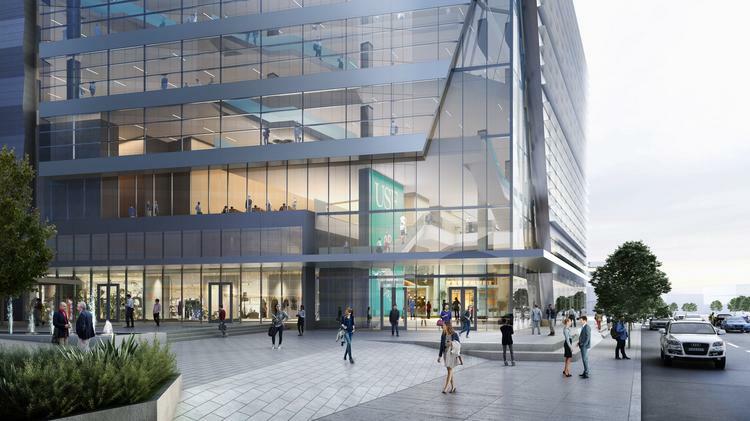 The downtown campus has already elevated USF in the eyes of prospective med students, said Dr. Charly Lockwood, senior vice president for USF Health and dean of the Morsani College of Medicine. Applications have increased 170 percent or by 2,500 students a year since the new campus was announced, Lockwood said in a statement. USF has also recruited 12 of 31 cardiovascular scientists with National Institutes of Health funding. Those scientists will conduct interdisciplinary biomedical research at the heart institute, Lockwood said. “Co-locating our medical school and heart institute in the vibrant urban area of Tampa will attract more top-tier students and cardiovascular researchers, and energize our intent to bring more biotechnology, biomedical and pharmaceutical firms to this region," Judy Genshaft, president of the USF system, said in a statement.